Here at Whisky, we’re known for our wide range of carbon fiber forks. 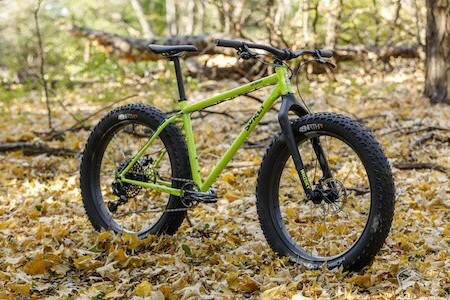 From aero road forks to super-wide fat bike forks, everything is designed to make your front end feel better. But did you know that we also make handlebars? It’s true. Flat or drop, aluminum or carbon, flare or no flare—there’s a lot of variety in our handlebar offerings. Today we want to introduce you to our drop bar lineup, with six different models in an assortment of flavors to lend a bit of versatility to your rides. Whether you’re building a flat-out road bike or a monstercross rig, there’s a Whisky drop bar to go with it. To suit as many riders as possible, we offer our drop bars in both carbon and aluminum. Our No.9 drop bars use a high-modulus, unidirectional carbon fiber construction for a bar that’s strong and lightweight but also soaks up road chatter. Our No.7 drop bars are made of 7000 series aluminum for lightness and durability in an affordable package. The No.9 and No.7 each come in three different flares—6F, 12F and 24F. The “F” in each model name denotes the degree of bar flare at the drops. 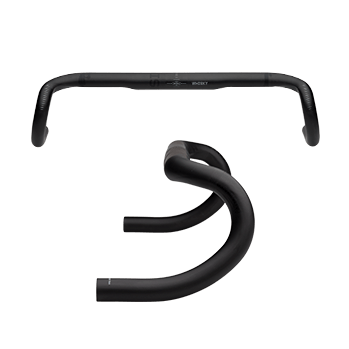 The 6F drop bar offers a subtle 6-degree flair—just enough to open up the chest and provide forearm clearance when riding in the drops. 6F bars have a slightly deeper drop (125mm) than the 12F or 24F bars (115mm). The reach on the 6F bars is also 1mm shorter (67mm) to compensate for the longer hydraulic-brake levers found on modern road and gravel bikes. The Whisky No.9 6F drop bar. 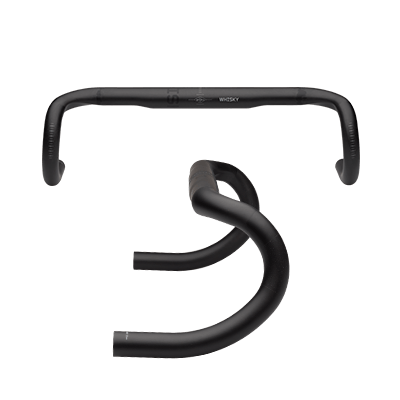 The 24F drop bar widens out your stance in the drops, which provides greater comfort and control when riding on rough roads or off-road. The Whisky No.9 24F drop bar. 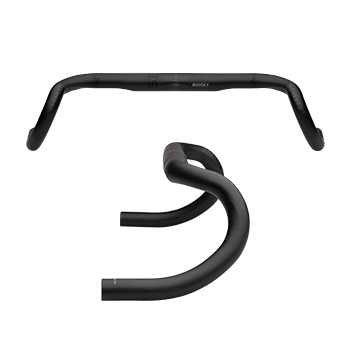 For many riders, our 12F drop bars offer the perfect middle ground—wide enough to increase control on tricky terrain yet narrow enough to retain some of the aerodynamic benefits of riding in the drops. The Whisky No.9 12F drop bar. All of our drop bars have a modern, semi-compact profile that lessens drop and reach for a smooth transition between hand positions. The 6F and 12F bars are offered in 38-46cm widths, while the 24F bars come in widths from 40-46cm. Width is measured from center to center of the hoods. Measurement markings on the bends make it simple to level out your levers, and markings on the clamp area help when centering the bar on initial setup. 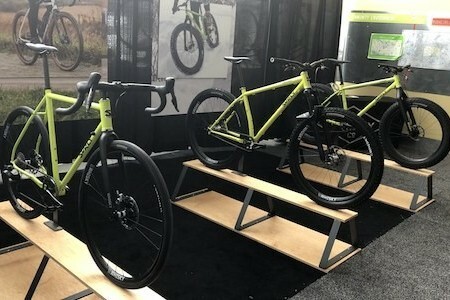 These aluminum and carbon drop bars are suited to anything from road, gravel and cyclocross racing to touring and bikepacking. The matte black color scheme and subdued graphics make them an easy match for any bike you’re looking to update or upgrade. 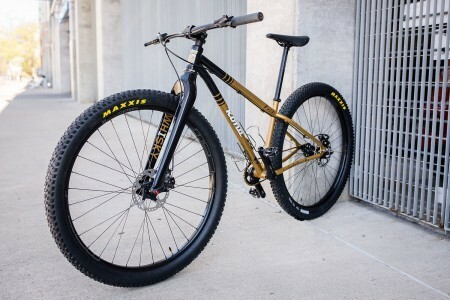 Check out the rest of our handlebar selection here, and check back soon for more!